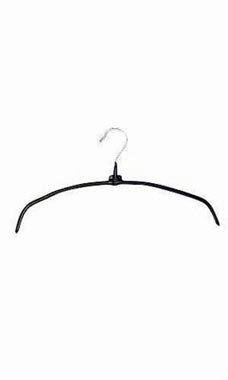 Black 16" Non-Slip Rubberized Hangers are a great choice for hanging garments that are prone to slippage on a traditional hanger. A rubberized overlay is applied to the entire arm length of the hanger for maximum stability. An excellent choice for clothing such as knitwear and lingerie that require extra support.